We specialize in tax planning, accounting solutions, and consulting for the growth and development of the business of our clients. We have a highly qualified staff holding required degrees from prestigious universities giving expert advice to the clients to help them save money and taxes and plan their finances appropriately. We have been providing passionate and dedicated accountants in Sheffield, Inverness, Redditch, Watford and many other regions, creating a name for ourselves in the field of tax advice, consultancy, accountancy, helping entrepreneurs, companies, and freelancers to help expand their business and take it to new heights. Sheffield is a city and metropolitan in South Yorkshire in England. The city has grown from its industrial roots to cater to a wider economic base. Sheffield is in the valleys of the River Don and its four tributaries, the Loxley, the Porter Brook, the Rivelin and the Sheaf. The city has gained an international reputation for the production of steel. The city has a long sporting heritage and is home to the world's oldest football club. A lot of people in the city are employed in manufacturing and construction business. Hotel and restaurant business is also popular in the area. Finance, IT, and other business activities hold up around 20% of the population, while 30% is held by public administration, education & health. Sheffield is among the top ten cities to locate a business today, and steel and metallurgy works have been the cities specialization for years now. Sheffield Hallam University and the University of Sheffield are some of the prestigious universities located in the city to cater to the educational needs of the people. Sheffield has a District Energy system that exploits the city's domestic waste, by incinerating it and converting the energy from it to electricity. It also provides hot water. We have qualified and proficient chartered accountants in Sheffield, who are dedicated to their work and extend expert advice in areas of account improvement, corporate finance, and corporate tax. These Chartered Accountants Sheffield work with passion and enthusiasm and help in value addition to the business of the clients by acting as personal advisors and maintaining accounts of the clients. They act like someone that clients can turn to, in order to get the right advice for their companies. The Small business accountants, Sheffield, have an in-depth look into the business of their clients and related intricacies to provide a custom made solution for the problem in hand. Thus, the clients can turn to them in the case of any issue, and they never fail to turn up with a solution. Their advice helps save client’s tax and money and balance the finances. These accountants, Sheffield work with start-ups, entrepreneurs, and companies to help steady finances and minimize liabilities. Self Assessment is a system used by HM Revenue and Customs to collect Income Tax. Self Assessment Tax Return is a compulsion for those who are self-employed, working as a sole trader or through a limited company, or employed by any other means and earning additional income. DNS offers an in-depth and comprehensive preparation of tax return on your behalf. Filling tax return can be a complex process, plus many may not know about consequences of filing tax return late. With DNS, you will have no worries. It files your Annual Self Assessment Tax Return fast and efficiently at a fixed fee with no extra charges, and tax planning and implementation are also included in the fee, at no extra cost. DNS provides solutions to problems related to accounting services, tax planning, and consultancy. It acts as a personal business advisor for the clients. We provide our expert help in the field of Bank Account Opening, which can be done through us. We make the process of Bank account Opening for your company easy and systematic. We do all the work; you just have to provide the details. We ask for a nominal fee, with no extra charges per hour. Tax planning, corporate financial services, accounting solutions and advice are all included in the fee, at no extra cost. We are one of the best Sheffield accounting firms, and our accountants cater to all your needs related to accounting and consultancy. 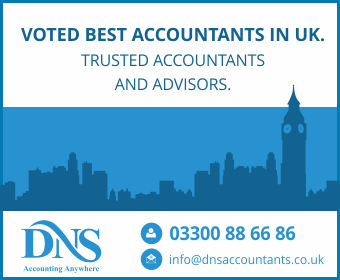 With our qualified staff providing expert advice in the field of accounting and tax services to the clients, we have expanded our firm to various regions, including Trenton, Oughtibridge, Rotherham, Chapeltown, Dronfield, and Beighton. We try to serve as many people as possible, in the best possible way we can. We act as personal advisors in which our clients can confide in times of need and problems in the field of accounting, tax consultation, financial advice, etc.